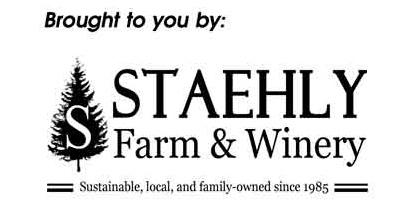 East Haddam Stage Company hits a milestone! 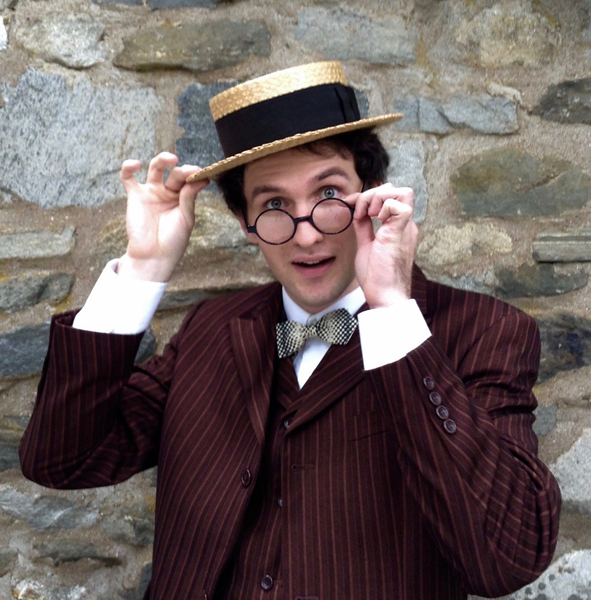 10th anniversary of live theatre at Gillette Castle State Park! 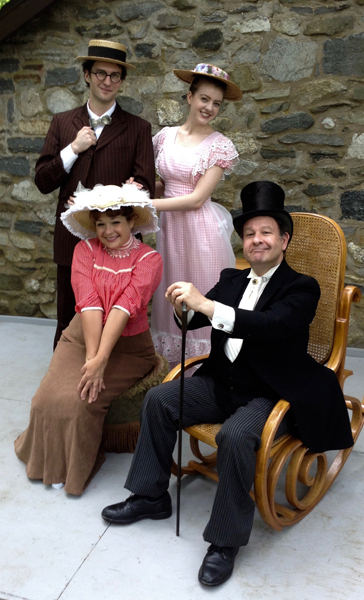 Named Resident Theatre Company at Gillette Castle State Park in 2017, EHSCO is proud to announce the show for this special season: a comedy based on William Gillette's 1890 Victorian farce The Professor. Producing Artistic Director, Kandie Carle, has whittled the massive, 4 act extravaganza down to a 30-minute, 4 character romp. 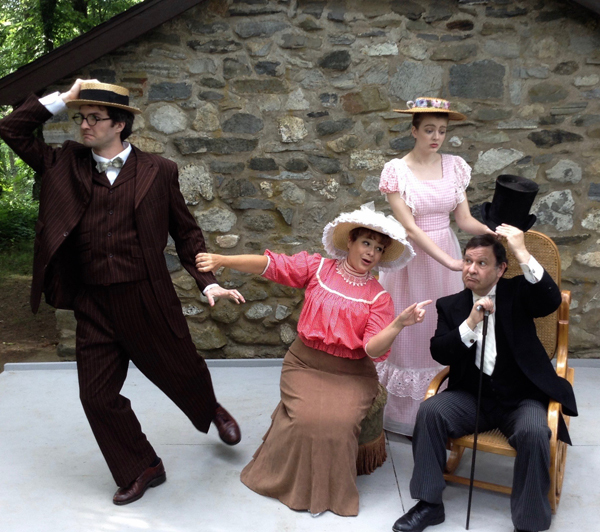 The play takes place at a resort hotel, The Seventh Sister Inn, summer 1890. 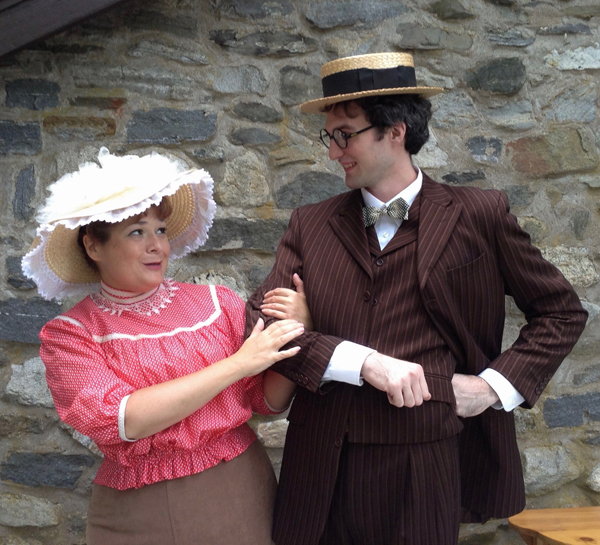 When the Professor's sister Fanny invites him to join her, it isn't just to see the countryside, she has her sights on being a matchmaker! While her naive but brilliantly scientific brother tries, he stumbles (literally and figuratively) all over the place. And Daisy's father has a thing or two to say about this young man's attentions to his daughter. The fun includes clever repartee, a signature of William Gillette's comedic style. Will the bumbling Professor win the young lady in the end? Come see the show to find out! The audience area is wheelchair accessible. There is limited bleacher and bench seating, so visitors are encouraged to bring their lawn chairs. Unless rain is actually coming out of the sky onto the stage at show time, the show will go on.